During our roadtrip in Albania, three of the town we visited where Berat, Pogradec and Shkoder, all very different and each with it’s own particular charm. 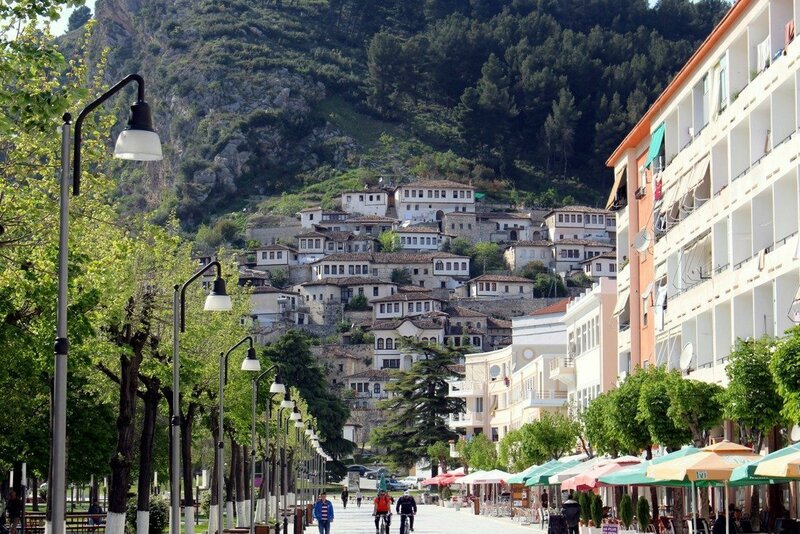 Stunning Berat, A UNESCO world heritage site, is often called the “Town of a Thousand Windows”, a quaint, little place where white Ottoman houses and narrow cobblestone roads built on a slope, rise up to meet the castle above them. The town is divided by the Osumi river over which lies the Gorica seven-arched bridge connecting the two parts of the town. 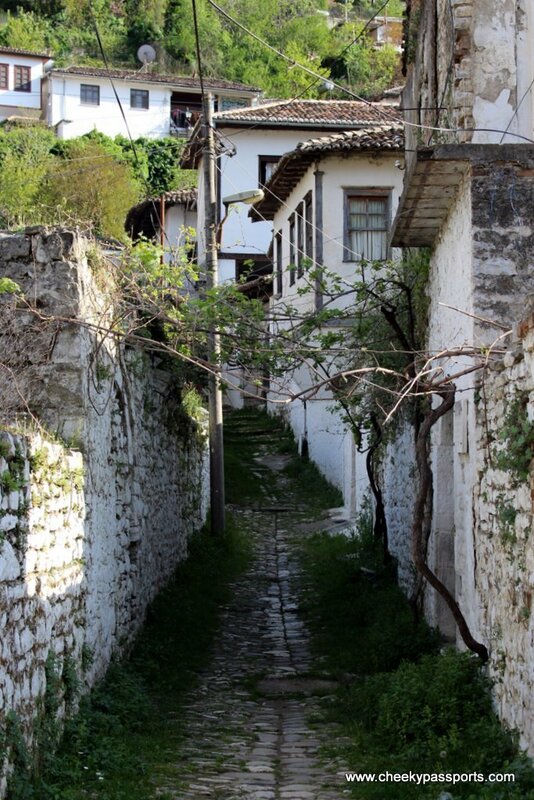 As we crossed the bridge and started walking along the little roads towards a church, we were greeted by a man who started explaining the history of Berat and pointed out the best views. It was pretty obvious that he was a tout but seeing that we didn’t know too much about the town we let him guide us. 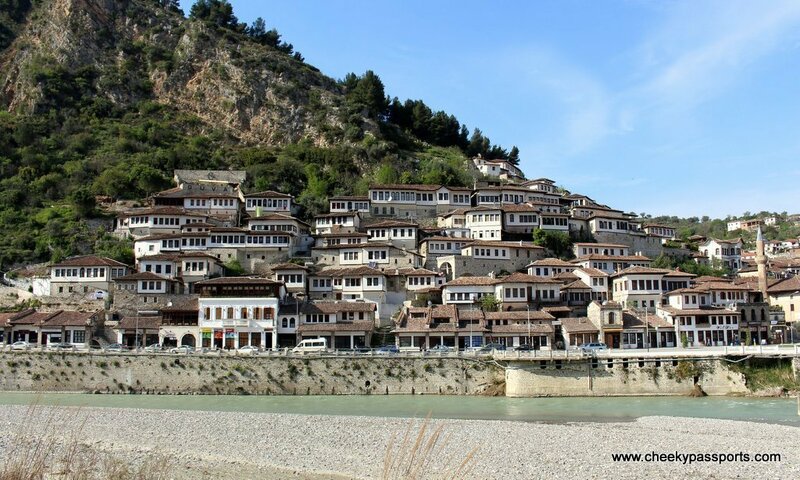 Berat is a rare, well-preserved example of an Ottoman town and the old city centre consists of three parts: Kalaja (on the castle hill), Mangalem (at the foot of the castle hill) and Gorica (on the left bank of the Osum). 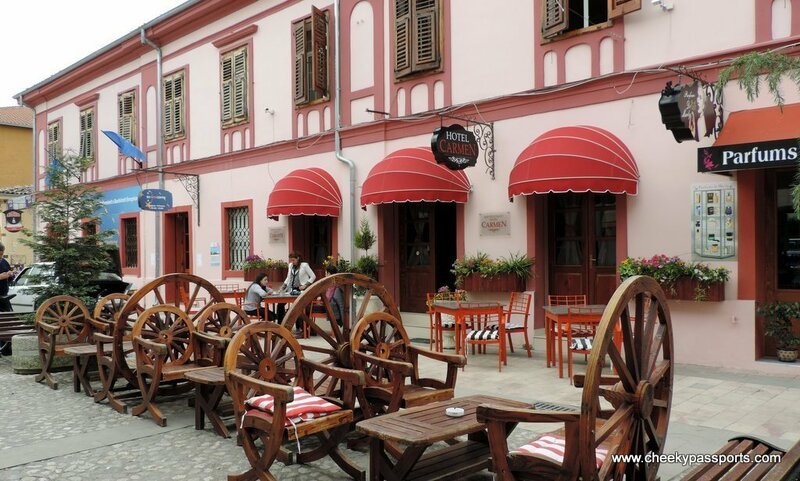 Mangalem is traditionally the Muslin area of town whilst Gorica is the Christian area but there are actually very few differences between the two parts. Berat castle is a steep slippery walk up the hill but the views from the fortress over downtown Berat are well worth the effort. The castle’s most notable feature is that it continues to be inhabited having residential houses and churches within it. 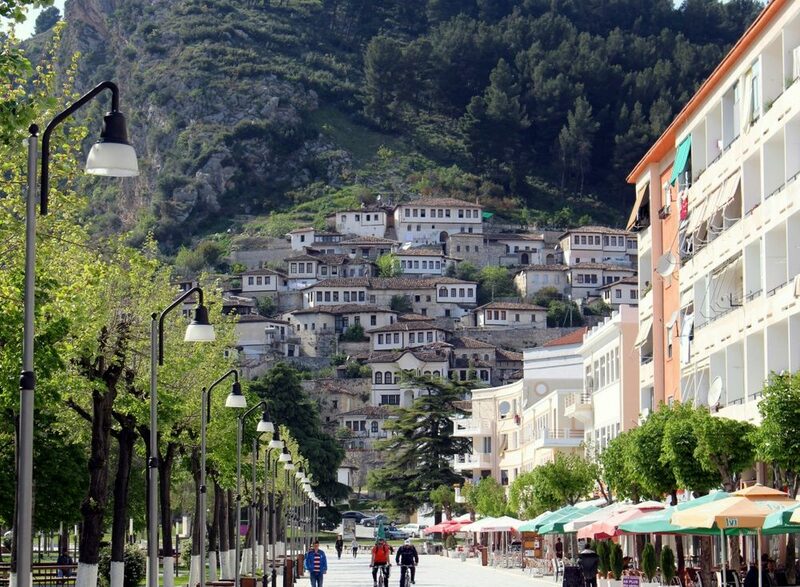 Berat can easily be seen in one day and many people visit on a day trip from Tirana. 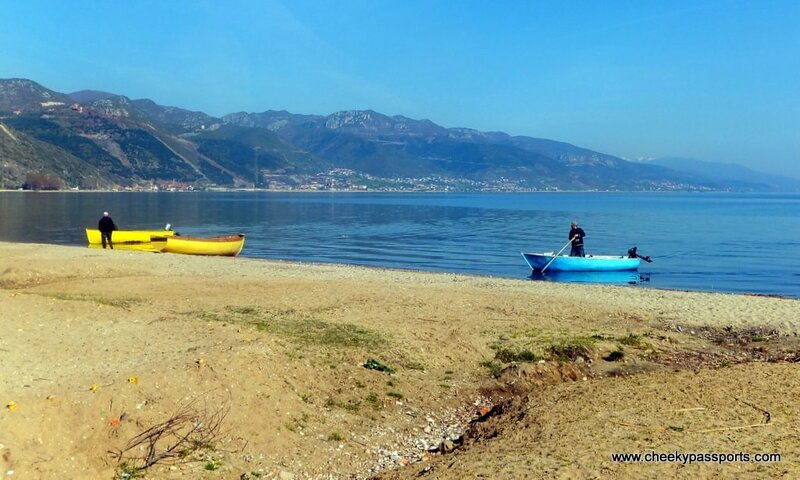 Pogradec (or Pogradeci’) is a town on the shores of Albanian side of Lake Ohrid. Though not as popular or as developed as Ohrid, its Macedonian counterpart, it is pleasant enough to warrant a short visit and a walk on the lakefront. There is not really much to do except enjoy the lovely views of the lake and watch as the fishermen come to shore or mend their boats. 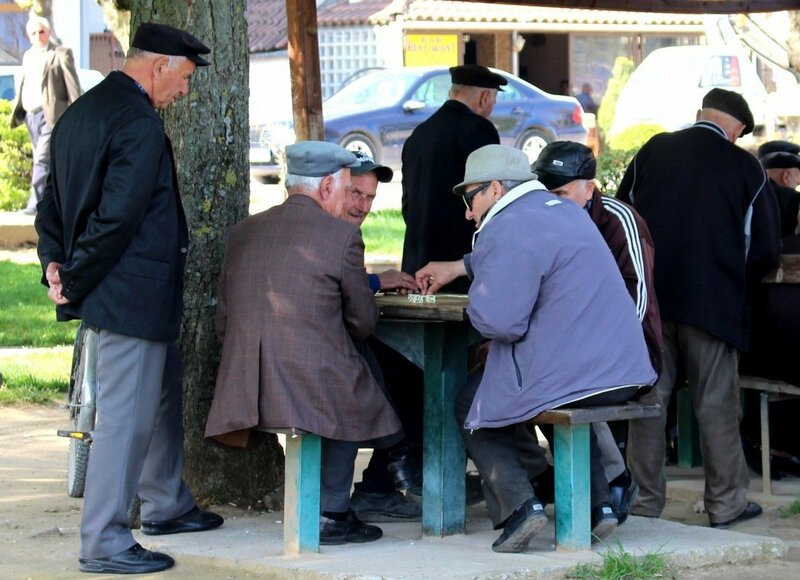 Albanian men seem to love playing Dominoes. We saw lots of different groups of men wearing hats and jackets playing in little open sheds along the waterfront and stopped to watch the game a couple of times. The locals were just as amused with us as we were with them. Lake Ohrid is home to a species of trout locally called Koran which features extensively on Pogradec restaurant menus. Koran is classified as an endangered species and it is illegal to fish for it on the Macedonian side of Lake Ohrid but not on the Albanian side, however, in our attempt to be responsible travellers, we decided not to try it although it was highly recommended by the waiter! Shkoder (or Shkodra) is a large Albanian city overlooked by the Rozafa fortress and popular for being the starting point for travel to Lake Koman which can be visited on a day trip from the city. Unfortunately, we were two weeks too early to take the seasonal car ferry on Lake Koman, and, as we did not have time for the day trip from Shkoder, we missed travelling on the beautiful lake. 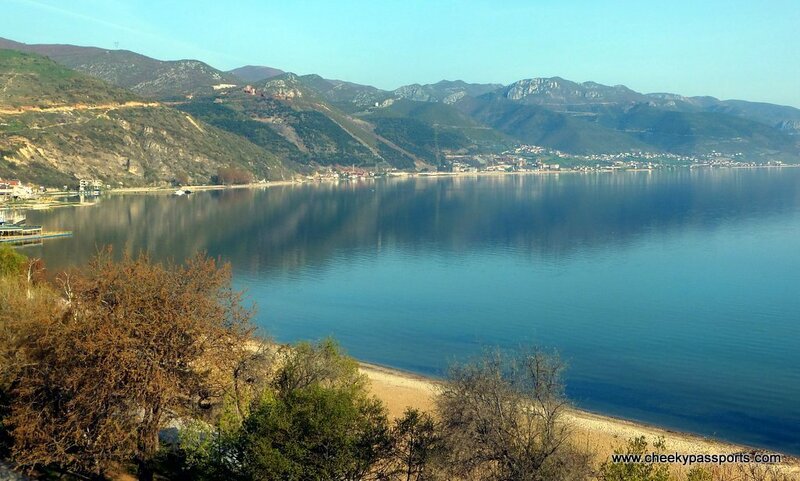 Close to Shkoder is another lake – Lake Shkodra which is the largest lake in the Balkans. The city centre of Shkodra is small and the city contains a number of churches and mosques which can be visited. We found Shkoder rather unappealing so we decided not to spend much time there and preferred to move on to Montenegro instead.